'Revenant bitten, always smitten.' 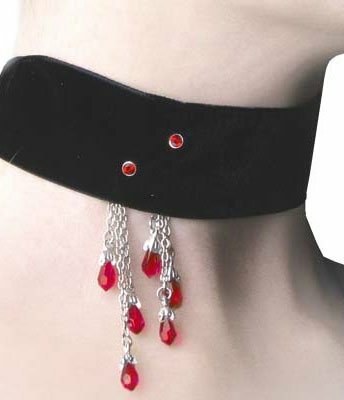 A soft, velvet band choker with Swarovski crystal bite marks and cascading 'blood' drops. Made of fine English pewter. By Gothic Alchemy.